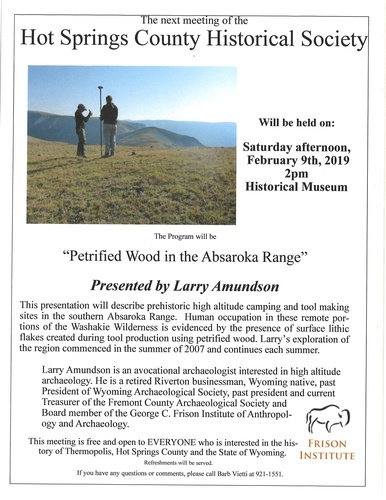 Our featured speaker will be Larry Amundson from Riverton, who will present the program: "Petrified Wood in the Absaroka Range". It will be a GREAT ONE!!!! Everyone is welcome. And refreshments will be provided!